"I want nothing but the best and love for her." 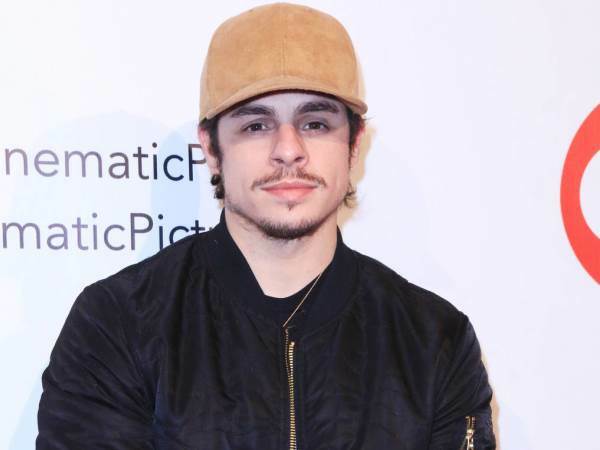 Jennifer Lopez's ex-boyfriend Casper Smart has spoken for the first time about the singer's blossoming romance with sportsman Alex Rodriguez. The 47-year-old and the retired New York Yankees baseball player were first linked in January after Rodriguez attended Jennifer's All I Have Las Vegas show. Since then, they have been spending time together, including a holiday in the Bahamas, where they were photographed arriving at the exclusive Baker's Bay Golf & Ocean Club together for a fitness session. As he attended a dance session in New York on Thursday, Casper, who dated Jennifer from 2011 to 2014 before the pair gave their relationship another try from 2015 to August, 2016, was asked for his views on the mother-of-two's new pairing. Asked by Entertainment Tonight if he was happy to hear about Jennifer dating Alex, nicknamed A-Rod, Casper replied, "Of course", before adding: "I want nothing but the best and love (for her)." While his own relationship with Jennifer didn't work out, Casper, 29, and the singer ended things on good terms and as "friends", with the dancer commenting that they have "nothing but respect and love for each other." As well as dating Jennifer, Casper also worked as the singer's choreographer and dancer for her tour before the split. Recalling that experience, Casper explained: "It was tiring but nice to travel around the world in six months, especially with someone you're with and you get to enjoy it together. "The work was a lot and we constantly were fixing and changing and shifting and making the show better, daily. But it was fun." Jennifer has yet to publicly comment on her new romance with Alex, but on Sunday, she posted and then deleted an Instagram photo of herself and an obscured male figure snuggling up together in bed. Though the man in the photo cannot be identified, several outlets have alleged it is Alex in the picture.